LIVE LIFE ALARMS, INC.: (Supplier of the LIVELIFE MOBILE ALARM PENDANT device) of 106-7710 5 St SE, Calgary, AB T2H 2L9. The USER of the device understands that the device is used as a first-instance, alert system to help the wearer in an emergency, when under duress or when in need of help. It is designed and supplied to simply alert the USER’S chosen family member/s or friend/s, carer/s or neighbor/s so they can quickly arrange someone to come to the USER’S aid. 911 can be included as a contact, but use of the device does not completely assure that help or protection or that emergency help will arrive within a specific time frame. If the USER is relying on the device for possible emergencies it is the responsibility of them to test the device before using it and relying on it and then do regular tests. 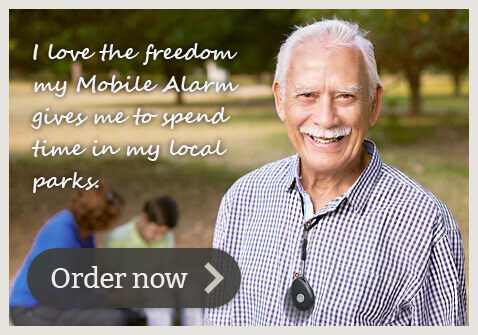 LIVELIFE ALARMS does not guarantee that the device can connect to the mobile network at all times, or that a help text or help call will be received by every emergency contact at all times or within a short time frame. The USER understands that the GPS functions and the help text alarms the device sends out with a GPS location on Google Maps are limited to the common constraints of all GPS systems. The device uses the built in GPS technology to fix the location of the device with an accuracy of 2 metres. In order for the GPS functions to work it requires a line-of-sight connection to satellites in the sky. For the device to receive the signal it needs to be pointed to the sky. It normally takes up to 10 minutes to receive it’s first fix (TFFF) and work out the co-ordinates of it’s exact location. In the event that the pendant cannot receive the GPS signal it will provide it’s last known position only in a help text. The device does not use a ‘triangulation method’ when a current GPS fix is not available. The device checks for an updated GPS location when the device detects movement in accordance with the default, power saving mode and therefore LIVELIFE ALARMS cannot guarantee that the device knows the current GPS location at all times, i.e. When the help button is activated or a ‘loc’ request is sent to it via text. The USER understands that the device has a SIM card installed that requires an amount of either pre-paid or post credit to be available for it to perform it’s text alarm functions, it’s GPS location functions, it’s voice call functions and it’s text reply and command functions. It is the responsibility of the USER to regularly check that there is enough credit for outgoing text’s and voice calls to function. LIVELIFE ALARMS does not take responsibility for the checking or recharging of credit at any time. The USER is provided with the mobile network provider’s details and a login to check on their credit and understands that LIVELIFE ALARMS does not permanently store these login details. The USER understands that the cost of recharging credit can change from time to time after the time of purchase and that the USER should make themselves aware of changes to prepaid and postpaid credit plans as well as the text and voice call rates under those plans. credit. We will contact you every 12 months with instructions on how to recharge. We have allocated a fair and adequate amount of voice and data to your device based on average usage patterns of thousands of customers. Voice and text usage for every device is monitored by LiveLife Alarms. Customers using the device’s ‘Side talk button’ or the ‘Location text function’ heavily will be contacted to discuss usage options. We reserve the right to apply further charges for excess use or discuss the option to move the SIM card into your name if you wish to use the ‘Side talk button’ and the ‘Location text function’ frequently. We also reserve the right to disable these two functions if used excessively (we would not do this before discussing with you). The parties agree that the device is not designed or guaranteed to prevent any loss or injury. LIVE LIFE ALARMS cannot guarantee in any way that the device will prevent accidents, death or personal injury to the USER or others, property damage, illegal entry or undue delay in any emergency service response from occurring and is not liable in any manner for any loss or damage resulting there from. The USER acknowledges that these terms and conditions and incorporated documents were made available to the USER online via LIVELIFE ALARMS’S website and were delivered to the USER’S address by Canada Post along with the device, it’s packaging and printed instructions for the installation and use of the device. The USER submits to the jurisdiction and laws of Alberta, Canada and agrees that any litigation or arbitration between the parties must be commenced and maintained in Alberta, Canada. Service of process or papers in any legal proceeding or arbitration between the parties may be made by Xpresspost delivered by Canada Post addressed to the party’s address in this agreement or another address provided by the party in writing to the party making service. LIVE LIFE ALARMS POSTAL ADDRESS: 106-7710 5 St SE, Calgary, AB T2H 2L9. This Agreement shall be governed by the laws of Alberta, Canada.